Designed by Herbert J. Krapp, the Majestic Theatre was originally built by real-estate magnates the Chanin Brothers as part of a three-theatre complex that also included the Royale (now the Bernard B. Jacobs - a mid-sized house) and the Theatre Masque (now the John Golden - a small house). It officially opened with its inaugural production of the musical Rufus LeMaire's Affairs on 28th March 1927. In 1930 the ownership of all three houses was transferred to the Shubert Organization. 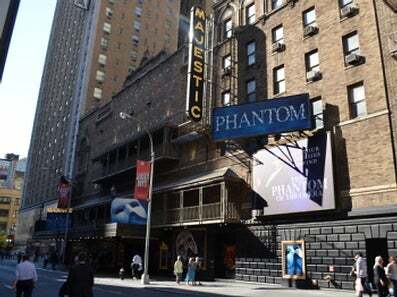 The theatre earned New York City landmark status in 1987.